Investors are increasingly going green. Australians are turning to responsible investments in greater numbers. Ethical investment in Australia has hit record levels, with more Aussies than ever keen to back environmentally and socially positive ventures over industries like tobacco, alcohol, guns and gambling. The latest Responsible Investment Association Australasia (RIAA) report, published on Wednesday, found 47 percent of Australia's investments -- a whopping $633 billion -- was invested responsibly in 2015, a 0.6 percent lift from the previous year. The most ethical section of the responsible investment market, known as 'core' responsible investments, experienced the biggest increase, up 60 percent from 2014 to a record $51 billion last year. The report also found that responsible investment funds outperformed mainstream funds -- great news for ethically minded investors who also want to turn a profit. The average responsible investment fund returned 8.3 percent over a year while the Large Cap Australian Share fund average return was 3.2 percent and the ASX 300 Accumulation Index returned 2.6 per cent. RIAA chief executive Simon O'Connor said the strong numbers showed an entrenched desire from local consumers for ethical stocks. "We can say without a doubt that this isn't just a passing trend, but an evolution of the entire sector that is now being driven strongly by consumer demand and engagement with where they invest and bank their life savings," O'Connor said. "Years of demonstrated long-term investment benefits to investors, who consider environmental, social and governance (ESG) factors, have quietly shifted around half of Australia's investment industry to invest responsibly. "Now, it is consumer demand targeted at superannuation funds, banks and financial advisers that is creating unstoppable momentum with implications for all parts of the finance sector." The report also showed Australians wanted investments that were good for their consciences, not just their wallets, O'Connor said. "You can invest with confidence, aligning your money with your morals, and it's not just a well-intentioned philanthropic approach, it is generating great returns for the savvy investor," he added. The largest part of the 'core' responsible investment category, so-called "screened investments", rose 16 percent in 2015, to $24.7 billion. This type of investment refers to when certain stocks are dropped from portfolios because of ethical concerns over products like tobacco and coal companies. The report's release comes just months after two of the nation's biggest ethical investment wealth managers, Australian Ethical and Hunter Hall Investment Management, vowed to completely get out of fossil fuels. 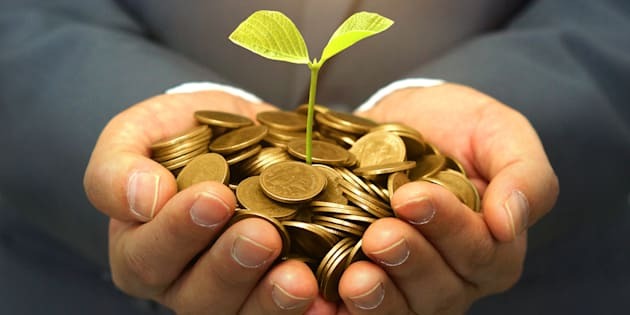 Meanwhile, sustainability themed investments like renewable and clean energy companies stocks grew 179 percent to $23 billion, according to the report, while "impact investment", which includes community finance, lifted 74 per cent to $3.7 billion. The report will be good news for companies like BT Investment Management, New Forests, Investa Property Group and AMP Capital -- some of the biggest names in core responsible investment in Australia.